SFO-Oakland Airport Car Service is a premier ground transportation service based in Oakland, CA for more than 2 decades of excellent 100% customer satisfaction record. We offer a fleet of late-model luxury black cars, executive SUVs, Mercedes Sprinter mini coaches and economy sedans as well, and our team of professional reservationists, account executives and chauffeurs are available 24/7 to assist you with all of your travel needs, OAK airport ground transportation and corporate events at no additional cost. Choose from Mercedes s550 and BMW 740 black luxury sedans, or our economy new MKT sedans and Suburban SUVs, we have multiple special offers and deals for every budget and we guarantee prompt, on-time service, friendly and courteous chauffeurs and new spotless vehicles every time you ride with us, whether it's an OAK airport ride, or general ground transportation around Oakland and the entire bay area. Don't take a chance with unreliable taxi services or shared rides, not knowing whether they will even show up, when you can hire a professional, reliable Oakland transportation service for less. You may call us for current 'super saver' offers, reduced business rates and airport transfer deals - or sign up for our newsletter to receive current specials and offers via email. SFO-Oakland Airport Car Service guarantees exceptional services, quality of vehicles and on-time service ... Always! Our Oak airport transfer service is available around the clock to match the flights that arrive at odd hours. Utilize our late model vehicles and ultimate service in a way to boost your business growth. Our discreet chauffeurs will make your airport transfer experience better than ever, while you can still save a bundle with our deeply discounted rates. Our online reservation process is effortless, simply enter your information, flight number, time to travel and book your ride instantly, or you may call us 24/7 should you have questions or prefer to book with a live operator. 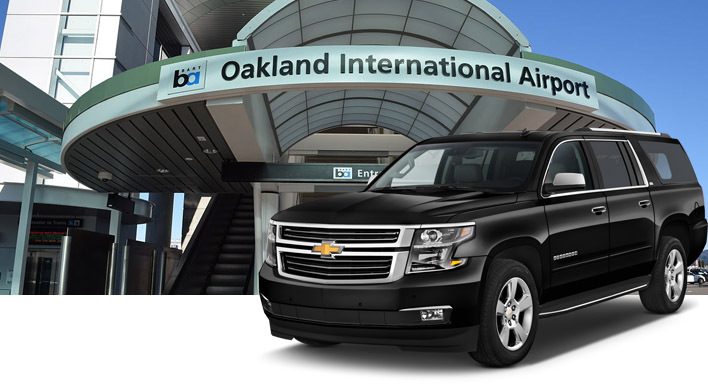 When you are looking for an exceptional Oakland airport transportation service, the first thing that is crucial to the services is its dependability. Call us today for vehicles availability, current special offers, package deals, business rates and book your OAK airport ride instantly!